We have two features for this week’s Muzzle Art Monday. 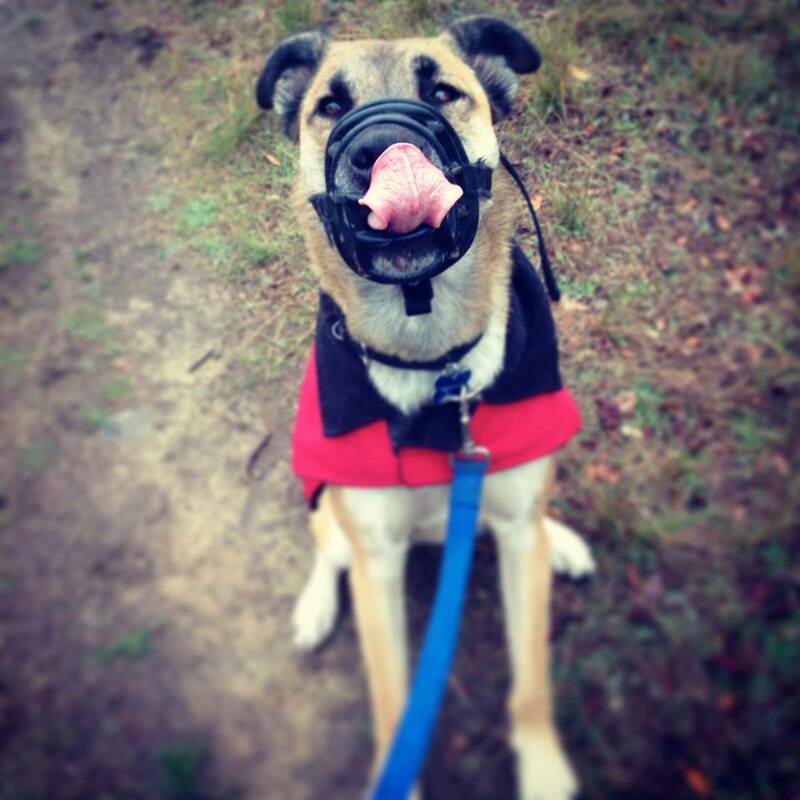 First, we have this gorgeous dog decorating his muzzle with the best kind of art – his tongue! This stylish dog definitely has positive associations with his muzzle. Thank you to supporter Katie Rogers for this sweet photo. Up next is a stylish muzzle accessory, sent to us from Cobalt and Sapphire, the canines fighting to end BSL. 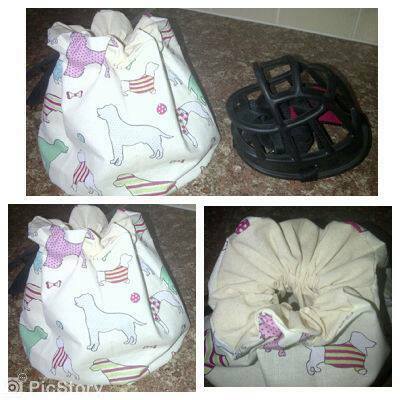 “For your muzzle Art monday: dogs on tour who need a stylish bag for that spare muzzle. Exclusive to ‘Nickys pad‘ at the same time help dogs affected by BSL whats not to LOVE,” they write.